Representatives from South Texas College, Hidalgo ISD, and Texas Workforce Commission came together for a check presentation benefiting students in manufacturing and healthcare. South Texas College, Hidalgo Independent School District (HISD), and Texas Workforce Commission (TWC) united for a check presentation benefiting student workforce training for careers in manufacturing and healthcare Thursday, March 28. The purpose of this grant is to provide equipment and instruction for students in manufacturing and pharmacy technology career fields. TWC awarded over $166,000 for the High Demand Job Training Grant and the Jobs and Education for Texans (JET) Grant. In partnership with TWC and McAllen Economic Development Corporation (MEDC) the $71,520 grant awarded to STC will train 60 incumbent and new workers in industrial maintenance and industrial robotic automation. 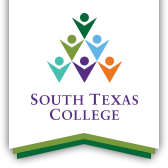 South Texas College Chairman of the Board, Paul Rodriguez, says students will directly benefit from this grant. Chief Executive Officer for Workforce Solutions, Francisco Almaraz, says TWC is collaborating business and education in the region. HISD, recipient of the $95,323 JET grant will provide funding for equipment and training for future pharmacy technicians. Superintendent for Hidalgo ISD, Xavier Salinas, expressed his gratitude for receiving the JET grant. Speakers at the check presentation included President of South Texas College, Dr. Shirley A. Reed, Chief Executive Officer for Workforce Solutions Francisco Almaraz, and Commissioner Representing Labor for Texas Workforce Commission, Julian Alvarez. The funding period for this grant is from Dec. 20, 2018 to Nov. 30, 2019. For more information regarding the manufacturing program and other technology fields at STC, please contact Carlos Margo at 956-872-6109.